The Solar “Falcon” race car team from Palmdale High School are calculating and making preparations for their upcoming competition — The Solar Car Challenge. Students from across the country will deliver their cars to the Texas Motor Speedway in Fort Worth, Texas, and, if they qualify, they will then drive from Fort Worth to Minneapolis, Minn. The competition runs July 17-23. 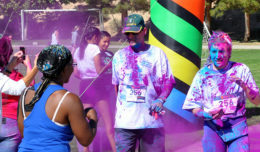 Palmdale is one of two schools from California selected to join the competition. 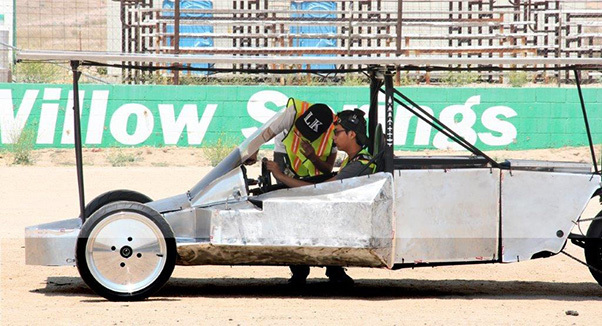 With only a few weeks left, The Solar “Falcon” race car team from Palmdale High School are busy preparing “Falcon 2.0” to compete in The Solar Car Challenge — a race from For. 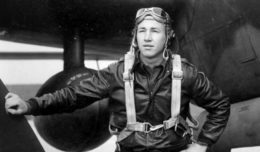 Worth, Texas, to Minneapolis, Minn., July 17-23. Testing battery power, brakes and making a few adjustments at Willow Springs International Raceway, the team is confident they will do well to make the race. “I think we are doing pretty good; just a few more tweaks and a wrap covering, and we should be good,” said Bryan Alcatraz, captain of the team. The Solar Car Challenge is an education program designed to help motivate students in science, engineering and alternative energy. With the mentorship of teachers, aerospace volunteers, and community support and sponsorship, students plan, design, engineer, build, race and evaluate roadworthy solar cars. Plenty of sunshine in the Antelope Valley does not mean the route from Texas to Minneapolis will be all sunny, so team drivers must adjust speed so that their batteries don’t run critically low should they encounter a cloudy day or many hills. During the challenge, team members will drive their cars approximately 150 miles each day. Through high traffic areas, the cars will be transported via trailers. 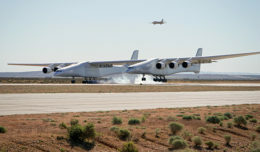 Sponsors such as PFMG Solar, The Space Ship Company and Jay Leno’s Garage help make it possible. 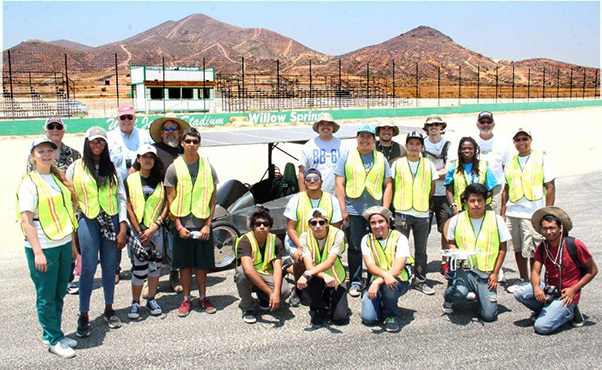 The Team: The Solar “Falcon” race car team from Palmdale High School pose after testing at Willow Springs International Race Way. Students from across the country will deliver their cars to the Texas Motor Speedway in Fort Worth, Texas, and if they qualify, will then drive from Fort Worth to Minneapolis, Minn. Science & Technology Magazine named the Solar Car Challenge as one of the top science and engineering programs in the country. “It does take a lot of people to pull this together,” said Jamie Ellen Stapp, who was making sure students had sunscreen, hats and water during the testing. Unfortunately, the new graduate will miss the big competition because she will be heading to Ervine to study nursing. Volunteers Randy and Terry Scott will drive ahead of the team and set up lunches along the way at pre-designated stops. Supporting education for more than 20 years, Randy, a retired engineer who was the Director of Plans and Design at Edwards Air Force Base, heard of the team during a Skills USA educational program and wanted to support the team. Mike Manghelli works production control for Lockheed Martin, and is a proprietor and crew chief for White Goose Bar Racing. Lockheed Martin has donated materials and supports Manghelli in helping the kids.